Decreasing the energy consumption is an important goal for environmental sustainability. 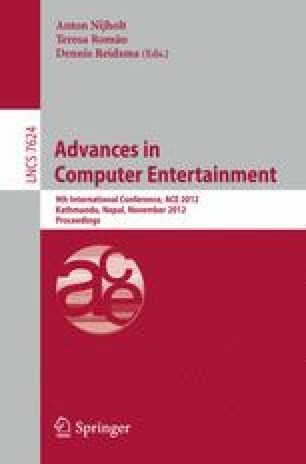 This paper describes MAID (Motion-based Ambient Interactive Display), an interactive public ambient display system, driven to motivate behavior changes regarding domestic energy consumption, through a persuasive game interface based on gesture recognition technology. The developed prototype guides players through the different rooms of a house, where they have to find out what is wrong and practice the correct actions to save energy, using similar gestures to the ones they would use in the real world to achieve the same goals. The system provides feedback regarding the consequences of each action. The paper also describes and presents the results of a user evaluation study performed during an open day event, attended by 6000 high school students, at our University Campus.